Trucking companies are slamming the brakes on new equipment buys. 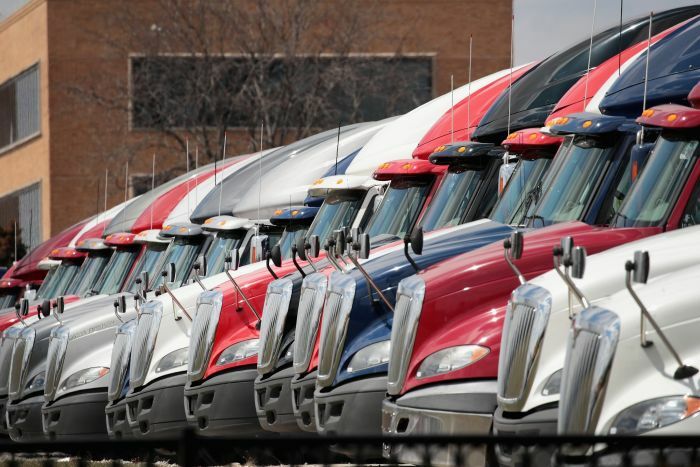 Orders for Class 8 heavy duty trucks plunged 15% last month to their lowest level in more than a year amid mounting signs that North American freight demand is slowing, the WSJ Logistics Report’s Erica E. Phillips writes. The pullback in what is typically the busiest time for new equipment orders ends an unprecedented runup over 2018 as trucking companies raced to meet surging freight demand. But strong orders earlier in the year appear to have flipped seasonal patterns. The resulting pause could help ease manufacturer backlogs that earlier this year extended as long as nine months, and bring supply and demand in the truckload market closer to balance after a long stretch when tight capacity sent shipping rates soaring. Truck manufacturers are walking an economic tightrope on climate change. Engine-maker Cummins Inc. is committed to reducing greenhouse gas emissions from heavy duty trucks, the WSJ’s Greg Ip reports, but trucking operators won’t invest in the technology unless it pays for itself within 18 months. It’s a strict measure that highlights the balance between economic and environmental concerns in a sector central to climate concerns. Road freight accounts for 7% of total emissions, and trucking’s share will expand as freight volumes grow. Cummins is leaving some innovations on the table because trucking customers won’t pay for them. Others aren’t as practical for over-the-road transport, such as electric engines, where heavy batteries would reduce payload and limit trip length. A carbon tax or tougher emissions standards could get operators to spend more on lower-emission technology, though such changes seem less likely in the U.S. than in Europe. Tariffs aren’t weaning the U.S. off foreign steel. 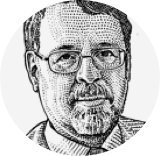 The 25% levy on steel imports has boosted profits for domestic producers, the WSJ’s Bob Tita and Alistair MacDonald report, but sky-high prices have also deepened the U.S. market’s allure for foreign mills that fill more than a fifth of the nation’s steel supply. Hot-rolled coiled sheet steel is selling for 70% higher than elsewhere, tipping the balance for steelmakers in Europe and Asia despite higher tariff and transportation costs. Still, imports of finished steel are down 13% year-over-year through October, and domestic producers like U.S. Steel Corp. are rushing to fill the gap, restarting idled blast furnaces and hiring back hundreds of workers. The expansions have raised concerns about another steel slump if U.S. manufacturing activity slows and demand plunges among customers like General Motors Co., which is planning to close several U.S. plants. More retailers are elbowing their way into the produce aisle. Walgreens Boots Alliance Inc. is teaming up with Kroger Co. to sell groceries at drugstores near the grocer’s Cincinnati headquarters, the WSJ’s Heather Haddon reports. Some Walgreens stores already serve as pickup points for online grocery orders from Kroger, and both merchants are trying to expand their reach as e-commerce rivals and discounters eat into market share. The competition is coming from all sides. Dollar General Corp. plans to add 200 new stores offering refrigerated products and produce, the WSJ’s Aisha Al-Muslim writes, a bet that expanded grocery options will boost the discounter’s traffic in “food deserts” where access to fresh food is limited. But branching into perishables will complicate logistics for companies whose stores are more heavily weighted toward shelf-stable consumer goods. “The foreign mills can pay the tariff now and still make money." — Bill Douglass of Chicago-based steel processor and distributor Lex Group. Decline in Shanghai Containerized Freight Index for shipping from Asia to the U.S. West Coast from Nov. 2 to Nov. 30. Follow the WSJ Logistics Report team: @PaulPage, @jensmithWSJ, @EEPhillips_WSJ, @CostasParis. Follow the WSJ Logistics Report on Twitter at @WSJLogistics. Copyright 2018 Dow Jones & Company, Inc. | All Rights Reserved.